Dirble is an internet radio hosting platform. They pride themselves on being the most open internet radio directory on the web. 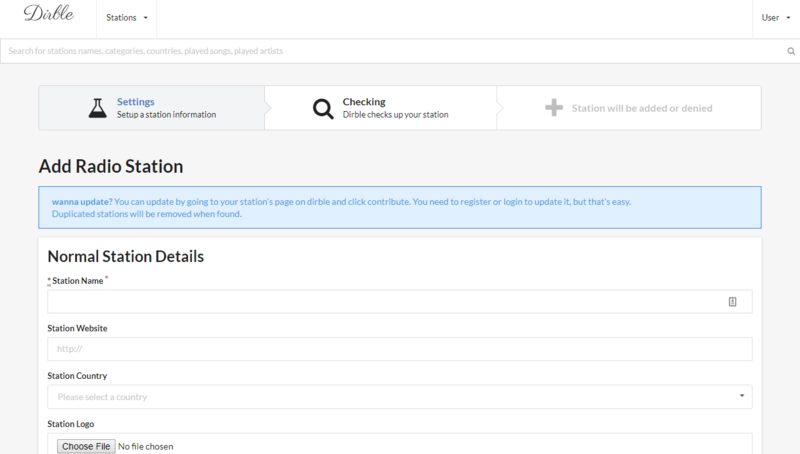 In this article we'll show you how you can upload your Mixlr station to Dirble. 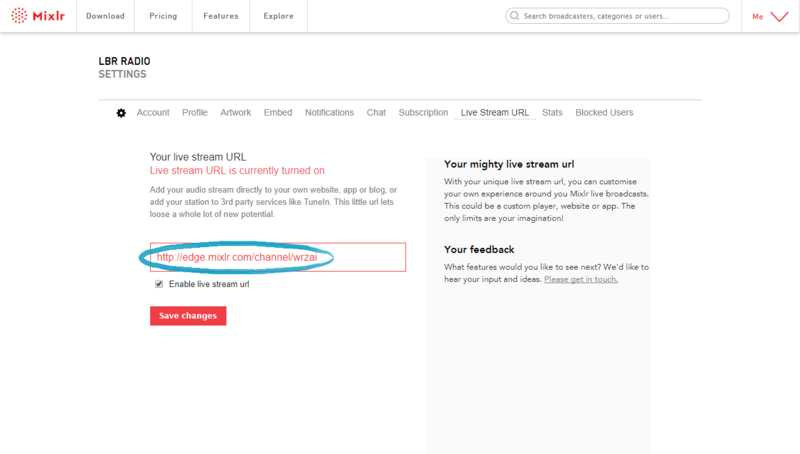 TIP: to add your Mixlr channel to Dirble you'll need to use the live stream URL which is available to Mixlr Pro subscribers. You can learn more about Mixlr Pro here, and you can sign up for Mixlr Pro here. Once you've got your live stream URL go to https://dirble.com/station/new. To enter your live stream URL click the 'Add Stream' button. This will reveal another field where you can enter your live stream URL. 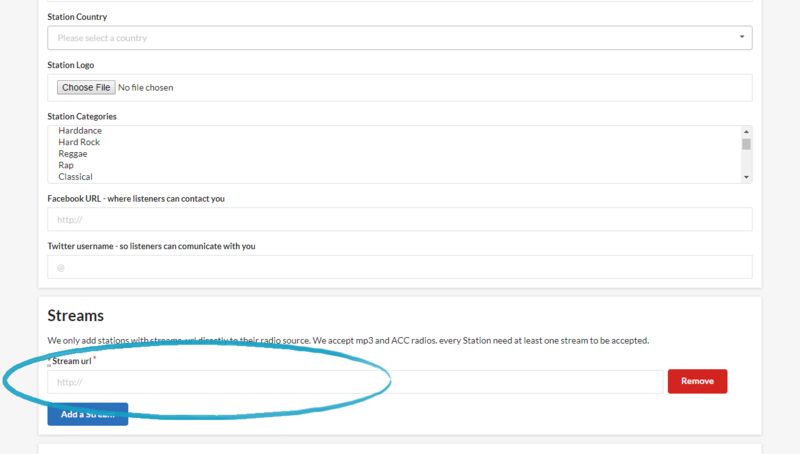 Once you've completed the form scroll to the bottom of the page and click the 'Create Station' button to submit to Dirble. 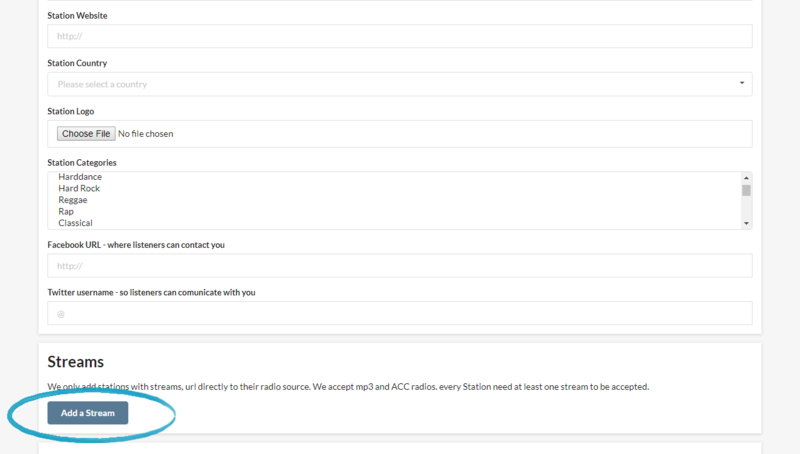 Your station will be added automatically if Dirble's system can locate your station's stream. If there is any issue with this they will check this manually, which may take up to 24 hours. For more information please see Dirble's FAQ.